A yeast infection, also known as Candida, can cause many symptoms and/or health issues. 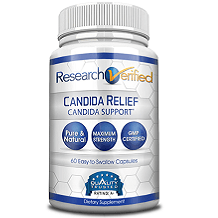 Candida is a group of microorganisms that live in your mouth and intestine. When out of control, many people suffer from constant exhaustion and fatigue, brain fog or loss of memory, carbohydrate and sugar cravings, recurring vaginal infections or jock itch, athlete’s foot, itchy skin, bloating after eating or other digestive disorders, and many more conditions. The manufacturer recommends adults take 1-2 tablets per day on an empty stomach. The manufacturer does caution for women who are pregnant or lactating and anyone taking medications or other dietary supplements should consult a health care professional before using this product. Not for use by children under the age of 18. Internet pricing may vary from website to website. At the time of writing this review this product was found at a price of $49.95 for a bottle of 60 capsules. At the suggest use, this should last you about one month. 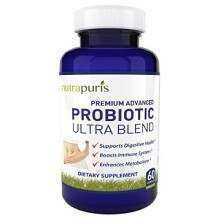 There are a lot of yeast treatment products on the market, including Nutrapuris Premium Advanced Probiotic Ultra Blend. However, considering the ingredients of this product, its price and the fact that they do not offer a guarantee, a consumer may not think this is the best product for them.